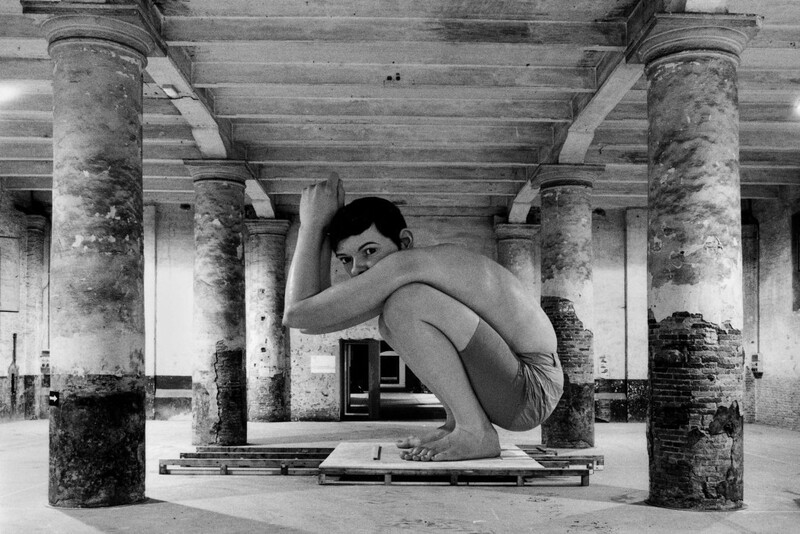 Ron Mueck’s “Boy” grew from small model to huge sculpture in the space of nine months. 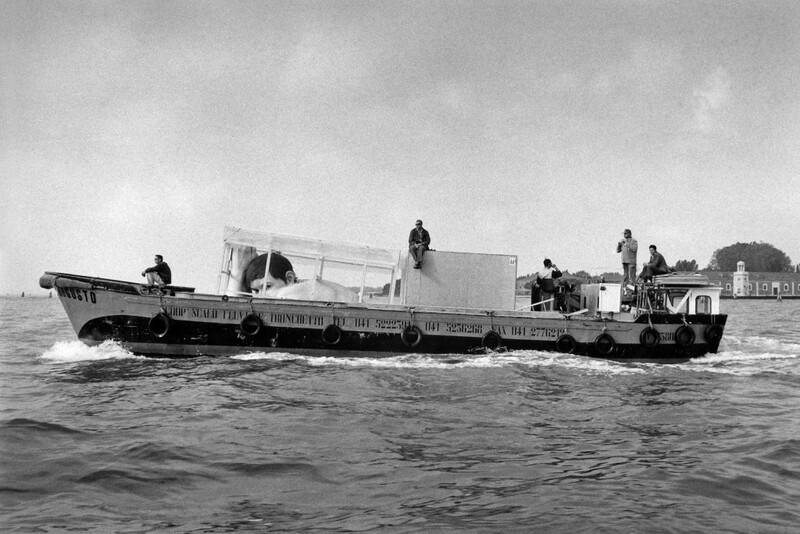 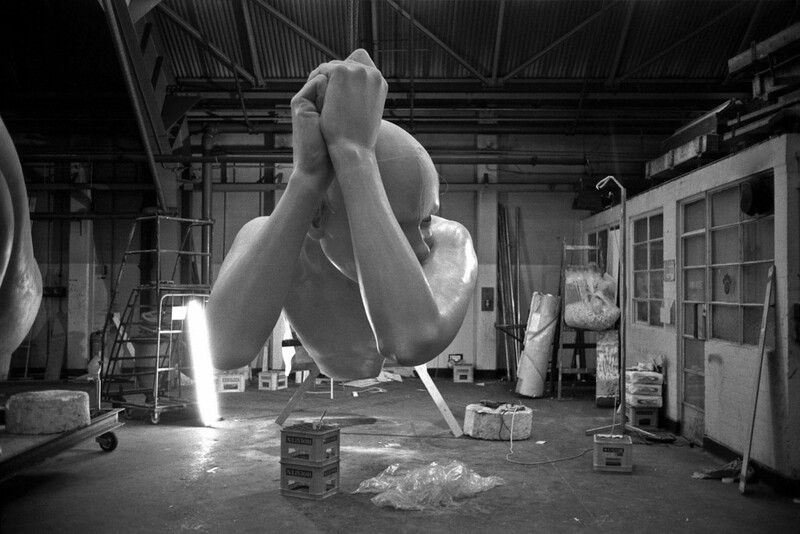 Originally made for the Millennium Dome in London, it was transported in two pieces to the 2001 Venice Biennale. 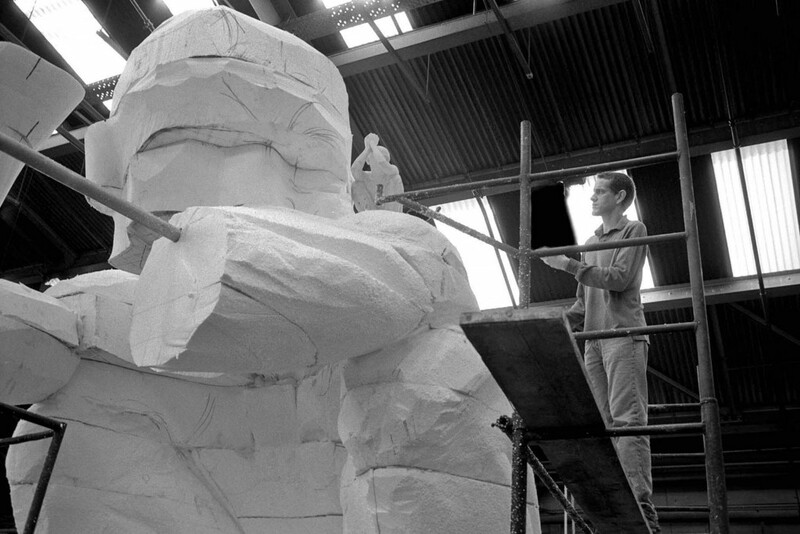 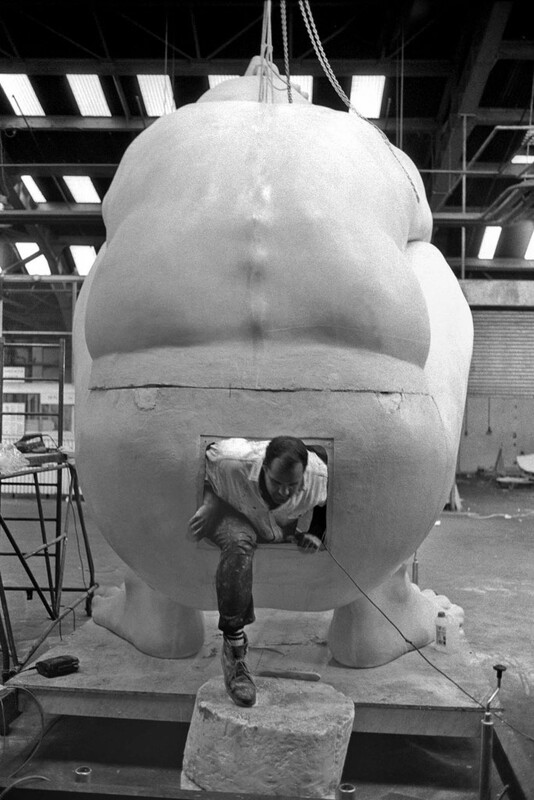 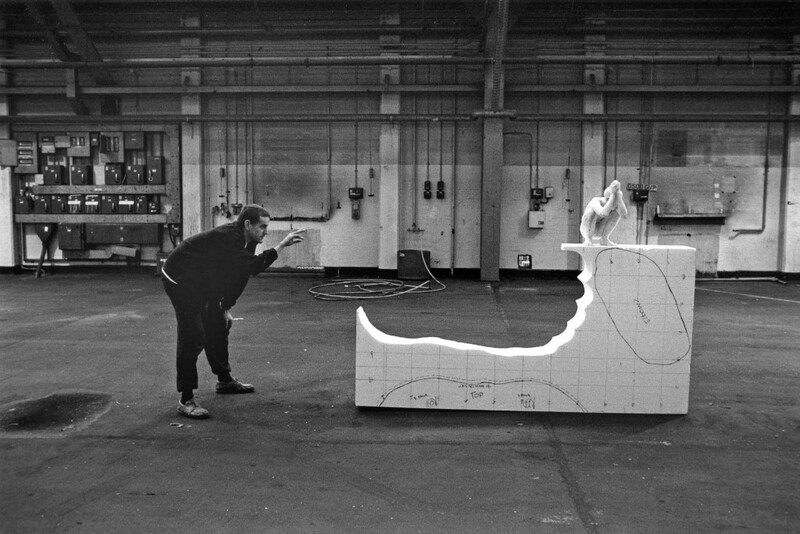 The work began as a 48-centimetre plaster maquette. 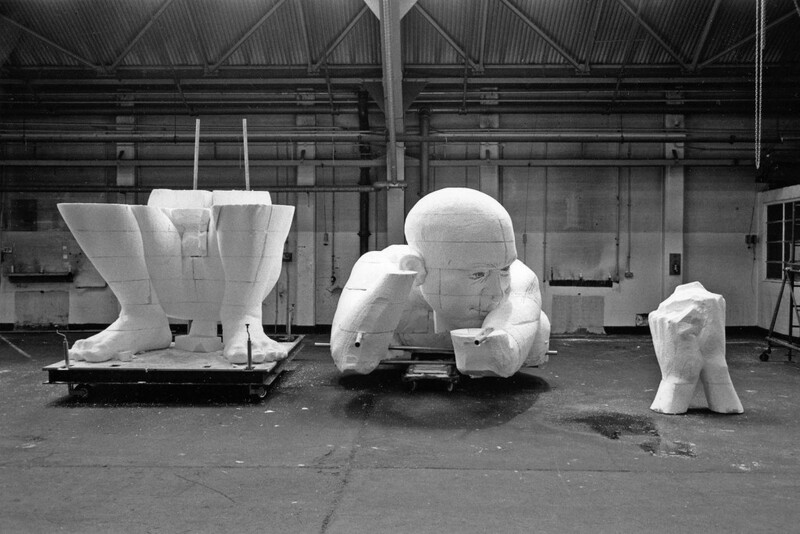 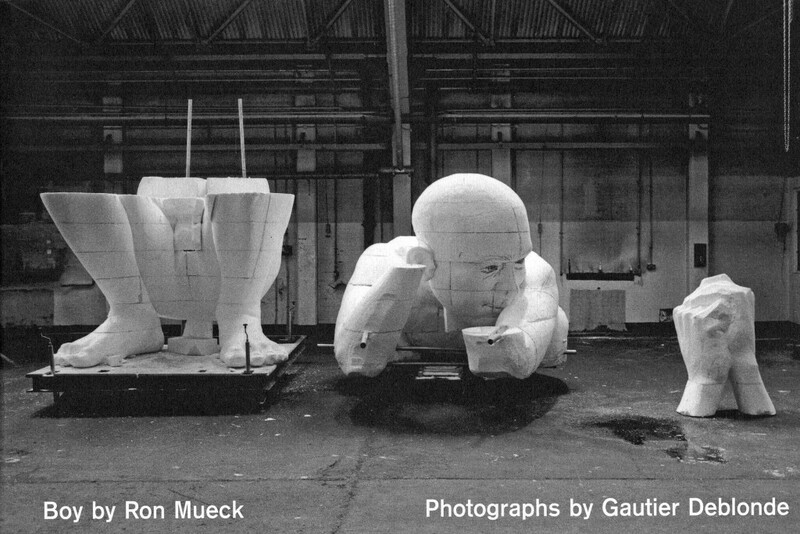 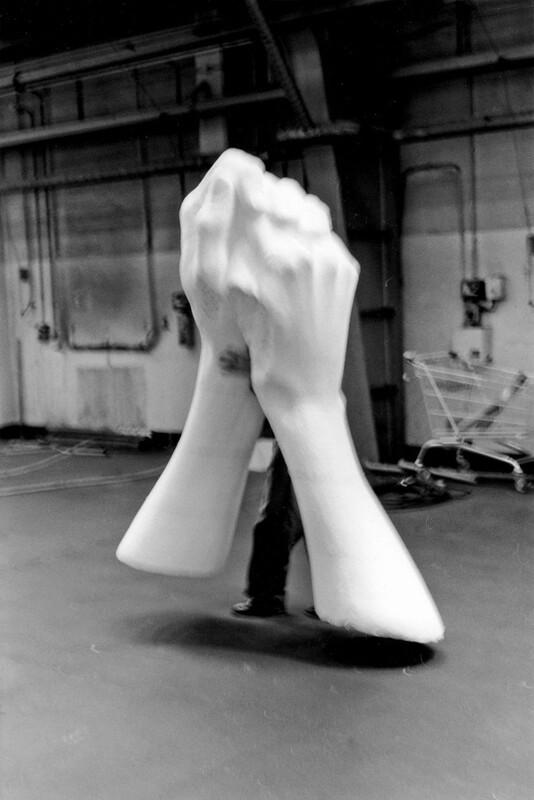 Mueck gradually increased the scale, working with large polystyrene blocks sliced into horizontal sections. 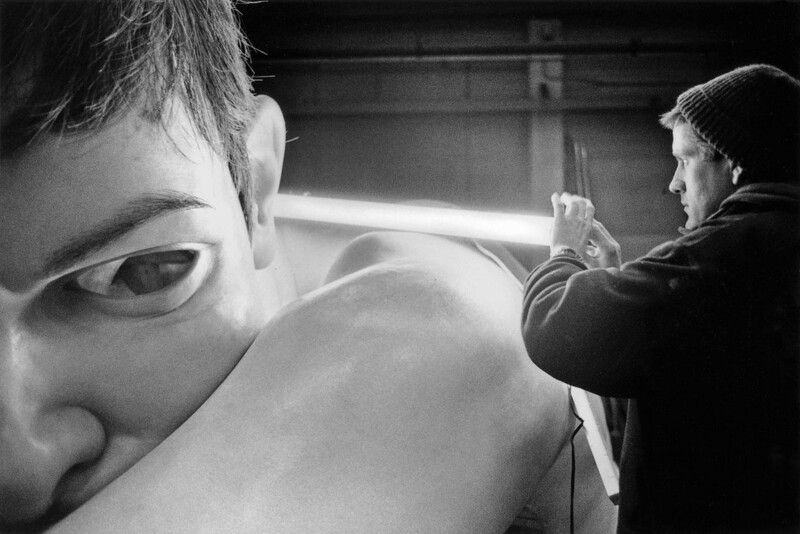 The eyes were cast in a football, and hair made with fishing line. 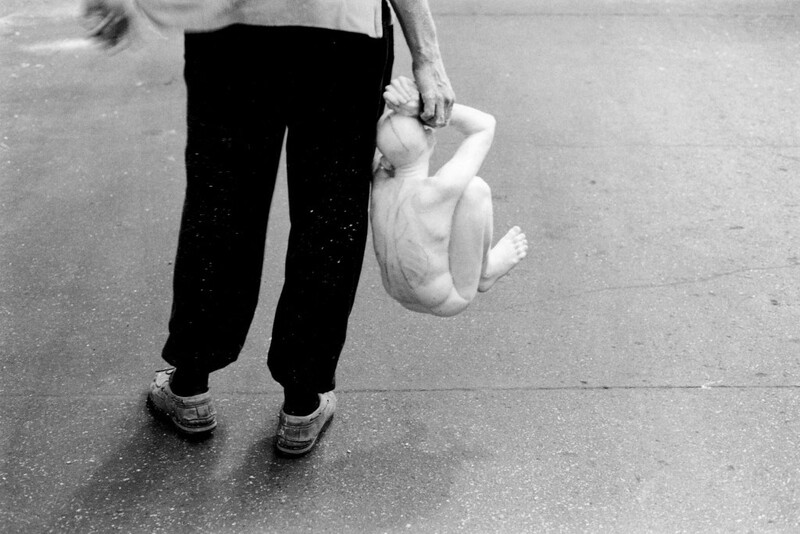 Mueck brings the boy to life by evoking bones, muscles and limbs. 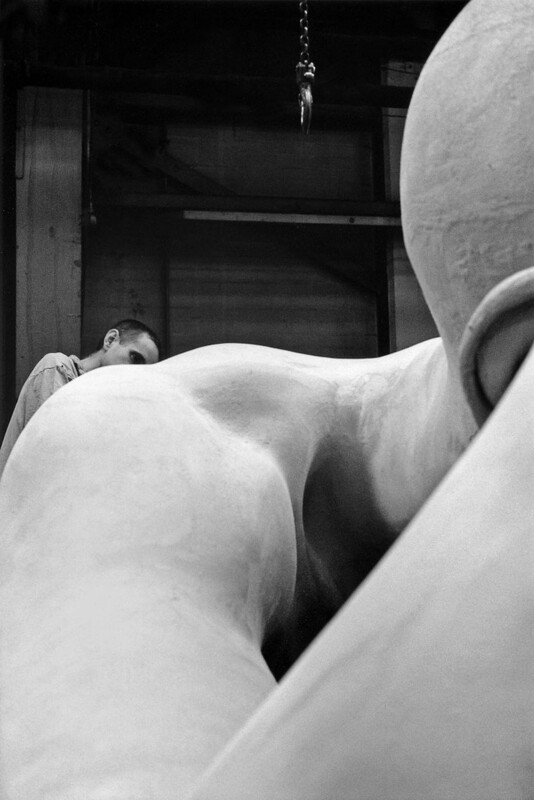 A resin used to paint inside each section gave it flesh tone. 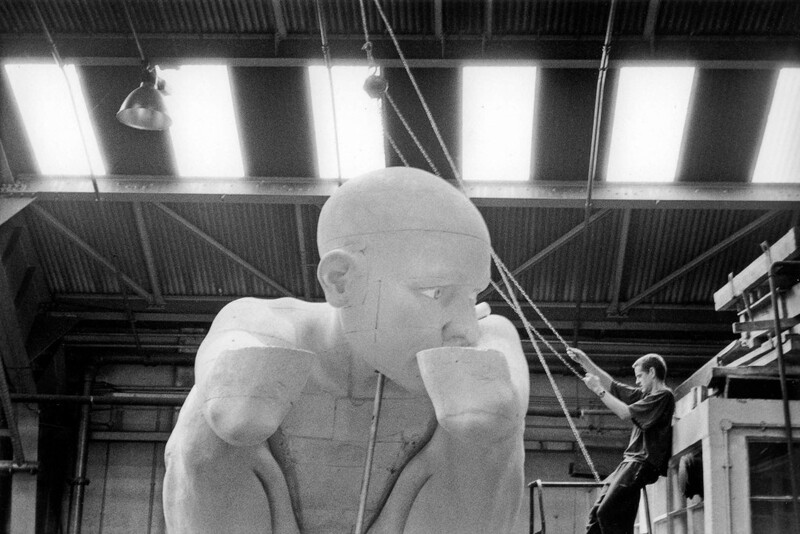 Now five meters high, the completed figure is ready to travel, a crouching boy with a wary gaze. 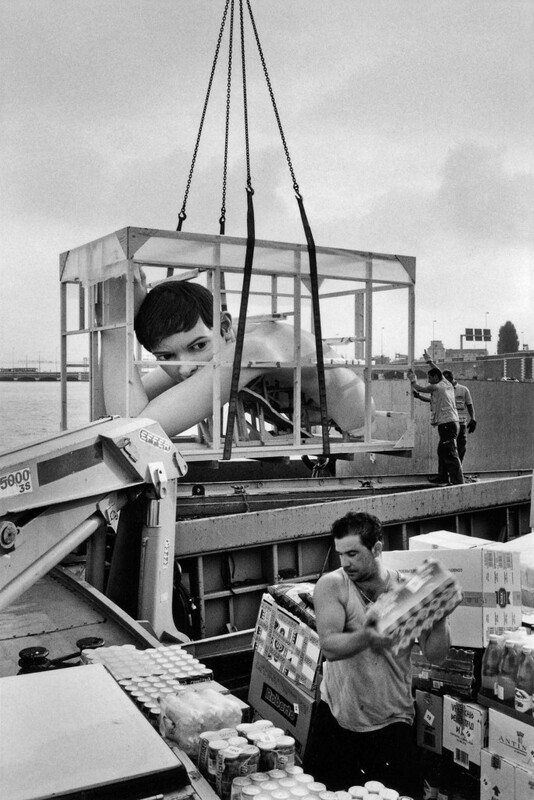 Biennale organizers installed it at the entrance to Venice’s vast Corderie building. 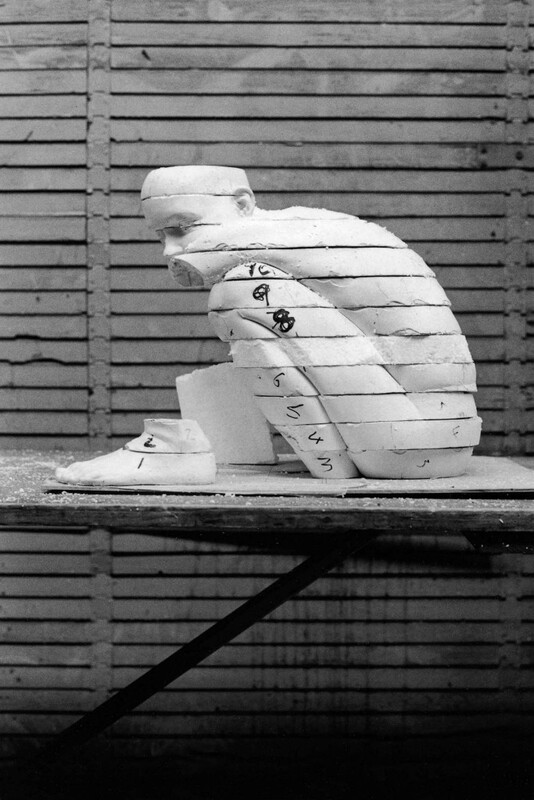 This series won the 1st price Art Stories at the 2002 World Press Award. 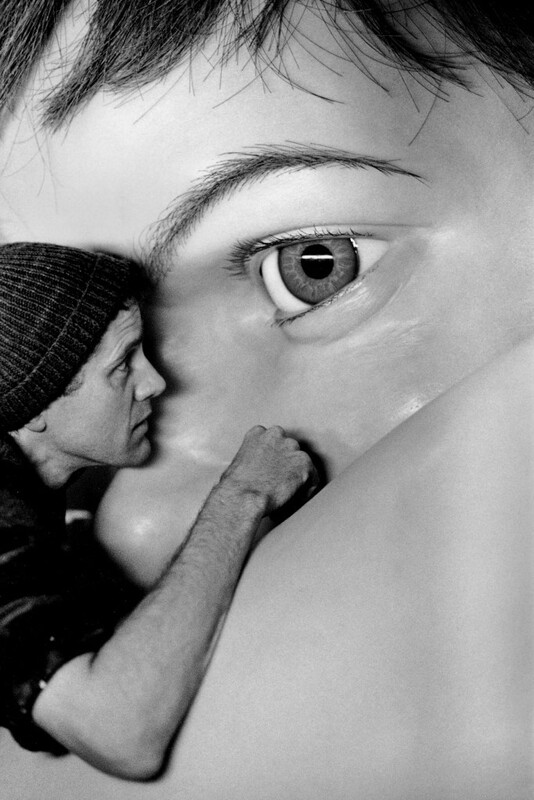 “Boy” by Ron Mueck, published by Anthony d’Offay Gallery in 2001. 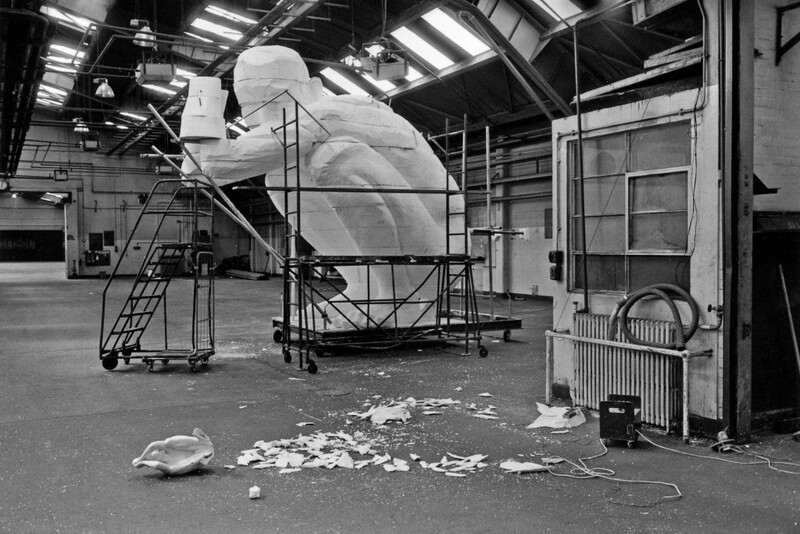 Published on the occasion of the 49th Venice Biennale.